iCapture's Power Plan allows you to setup document delivery to send HTML links in your HTML Auto-Reply emails. 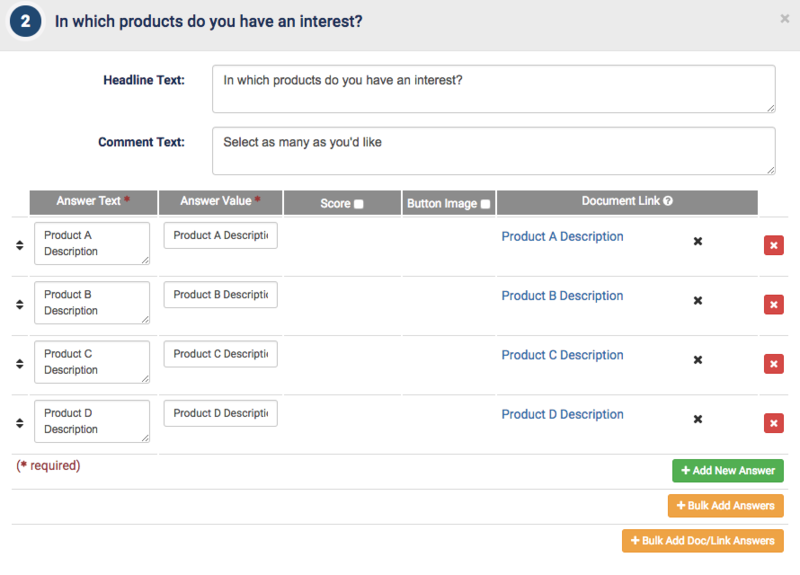 Add documents or links to these pages to make them available in the Questionnaire builder. Alternatively, you can use the Bulk Add Doc/Link Answers to add multiple answers straight from the names of your files in your library. These will add answers with the name of document and the file automatically associated. 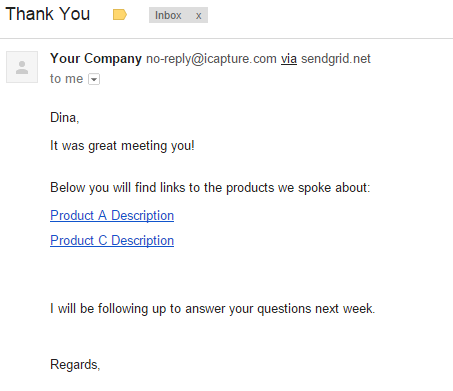 Once you have your links set up for specific answers, you can set up your HTML Auto Reply emails. 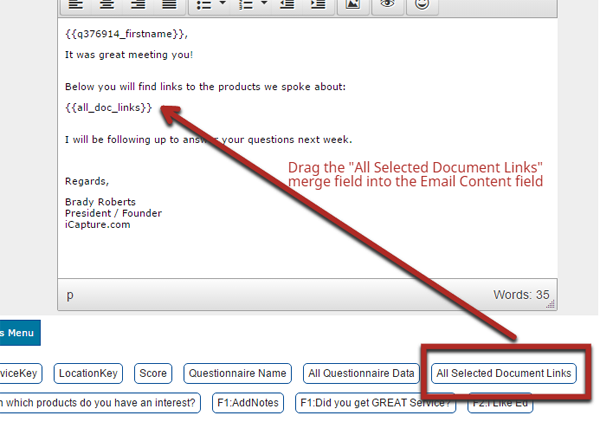 You will want to drag the "All Selected Documents Links" field into your email template. This is what will add the HTML links to your email. Both HTML links are active and can be clicked from your email without having to have the long URL.